Just wrapped up production on our 4th saltwater commercial for Ranger Boats. The new spot entitled, Fish & Fly, was produced on a shoe-string budget, and the client loved the final edit. MPI used a specially constructed fishing tower mounted on the bow of a boat to get awesome overhead shots of each boat running. The shots look almost as good as a helicopter. 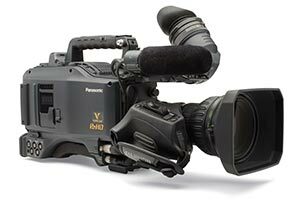 We used a Panasonic P2 VariCAM as our lead camera for the commercial. Back at the studio, we copied and digitized all of the HD clips into Final Cut Pro 7 and rough cut it together and sent it off to motion graphics. We used the Ranger Boats brochure as graphical elements to give the spot a very dynamic feel. MPI also added a custom rock-n-roll music track for the final touch. Look for the new 30 second commercial on your television this spring. McCabe Productions (MPI) is a Florida based media production company known throughout the state as a leading edge, innovative multimedia firm. MPI has a network of artists who are well versed in the convergence of video and audio production, multimedia internet and animation graphics to communicate to any audience and on any medium. In 2012, MPI begins it's 13th year of producing one of the most popular fishing shows on television, Addictive Fishing with host, Capt. Blair Wiggins. The show has influenced many new fishing shows to adopt the camera angles and production values AF has set. This increase in production value for an industry which has always been viewed as "boring" has brought many more sponsors into the industry, and AF is the most successful brand in the biz. MPI continues to lead by example with our 13th season of Addictive Fishing airing on the SunSports Network this April. MPI was incorporated in 1991 by Kevin McCabe who serves as its CEO and Executive Producer. A 1989 graduate of the University of South Florida, McCabe worked for Greiner, Inc. for 2 years and for WFTS (ABC) and WFLA (NBC) – Tampa, Florida television stations – from 1988 to 1990 prior to forming MPI. COMMERCIALS – MPI creates dynamic special effects and 3D graphic commercials for many national clients. TV PILOTS – MPI produced Sport Fishing Magazine TV for World Publications in 2003. 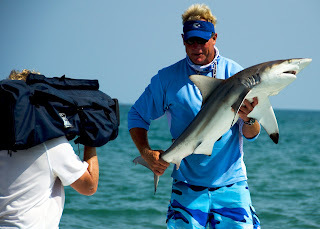 TV PROGRAMS – MPI provides all production services for Addictive Fishing, Florida’s #1 outdoor television show, airing on Sun Sports Network and Sportsman Channel. In 2005, MPI was selected by FLW Outdoors to produce 60 one-hour saltwater tournament shows. VIDEOS – MPI has produced public involvement and training videos for 5 out of 7 Districts of the Florida Department of Transportation. In 1994, MPI’s State Road 789 video won a national Communication and Marketing Award, marking the first time an independent panel validated the use of 3D animation to educate the public. DOCUMENTARIES & SHORT FILMS – Using 16mm footage, MPI creates documentaries for clients. Character animation, realistic lighting and movie style editing highlight 3D short films produced for various clients. CORPORATE VIDEOS – Engineering projects are visualized in 3D for government agencies and the public to review and comment.